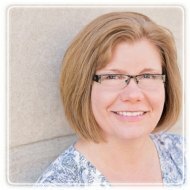 Manitowoc Therapist: Paulette Sears - Therapist 54220. Session Fees: I am a provider with most major insurance companies. I have over 20 years experience providing professional care to children, adults, and families. I specialize in addressing a wide range of issues including those related to relationships, emotional conflicts, and behavioral difficulties. My focus is on helping individuals, couples, and families achieve more healthy, satisfying relationships and lives. My specialty areas include: problem gambling, trauma/PTSD, adoption and attachment issues and issues related to grief and loss. I have completed training in EMDR (Eye Movement Desensitization Reprocessing). I utilize this effective, no-talk technique to address anxieties, phobias, and trauma. I hold my Master of Science degree in Counseling Psychology, with a Specialization in Marriage, Family, and Child Counseling. My Treatment Philosophy: I help people recognize their strengths and identify the limitations with which they may be struggling. By creating awareness of and challenging their self-limiting beliefs, thinking, and behaviors, I empower clients to make significant changes in their lives. This often involves exploring the impact of earlier life experiences on how one currently views oneself, the world, and others, and correcting the distorted thinking and beliefs that often are the products of negative early life experiences. As the individual changes unhelpful thinking patterns and distorted beliefs, he or she can make unlimited positive changes in their life. Change occurs as a result of both insight and new experiences. The counselor-client relationship is also a significant tool for change: the client experiences healing through a non-judgmental, compassionate relationship. VISIT MY WEBSITE: WWW.PAULETTESEARSCOUNSELING.COM TO SCHEDULE AN APPOINTMENT TIME OF YOUR CHOICE ONLINE TODAY. CALL ME TODAY FOR A FREE 15 MINUTE TELEPHONE CONSULTATION.